In the field of business, it is important for establishments and corporations to ensure that they take corporate decisions that can positively affect the business and its operations. This is the reason why market analysis is an essential process that should be taken seriously by any management. 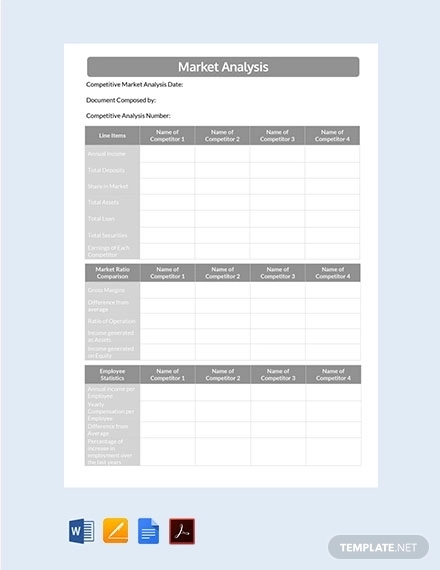 Market analysis is not only centered in identifying the correct prospective markets but also in specifically knowing the demands of various market niches and how these demands can affect the supply of the business. As a concept of economics, the study on supply and demand can help businesses become more effective and efficient when it comes to knowing the condition of the market, the current needs and wants of current and prospective customers, and how the business should react on varying circumstances. Having a marketing analysis elements with regards demand and supply can contribute to the growth and development of the business. 1. The pricing of goods and products can actually be affected by the market demand. Supplying the appropriate price for products in a timely manner can make the business more trustworthy and credible. 2. If businesses will be aware of the demand for a product, then they can do measures to either maintain or improve their production. This can also be helpful if there is a need to decrease product quantity especially if the market does not respond to a specific product well. 3. Having an initial demand and supply review can help companies easily identify the factors that can affect the purchasing or acquisition power of customers. This will lead to the development of answers with regards to what the market currently needs. 1. If the products produced by a business checklist is just enough to supply the demands of its customers, then shortages or overproduction can be minimized. This can help the business allocate the right amount of money for products that will surely not go to waste either due to expiration or unsuitability to the needs of the market resulting in loss of sales. 2. Changes in the price of products and/or services can be well guided if a study of the market demand and supply is already present. This is beneficial both to customers and the business as they can easily understand the price movement of certain items. 3. Reducing supply in a measured time frame can give businesses the advantage of focusing its financial goals and efforts on developing new products that will sell. If the demand is not that high anymore and the business is aware of it, then proper metrics of operations can be implemented. If your analysis to build a market research plan is guided by the elements of macroeconomics, then it is for sure that both graphic representation and discussion of demand and supply curves are presented accordingly. There are several factors that are necessary to be considered for a demand and supply analysis to be correctly implemented. Some of the determinants that you need to be knowledgeable of are listed below. If your market research and analysis contains information about the demand and supply curve, then it will be faster for you to execute actions with regards to your production schedule and overall operations. Your relationship with your market matters the most which are why you need to know what they need in varying time periods. As specified, supply and demand analysis can affect pricing and production in general. Being knowledgeable of specific details especially those listed above can positively affect the company and how it is perceived by the marketplace. Demand and supply analysis, as well as the entire market analysis, should be updated from time to time so that the management agenda can make sure that they are aware of the current market trends and activities. Make the most out of having a demand and supply study in your market analysis and see how it can affect your business in a positive manner.